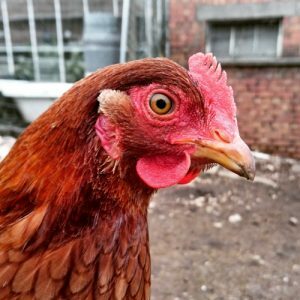 Ever fancied having your own chickens? Fresh eggs in the morning and some little feathered friends clucking around the place? Well now’s your chance! Elm Tree Farm is re-homing some slightly older birds, asking for a donation of just £1 per bird to support our amazing work. For the chickens welfare – they like company – we request each person takes a minimum of two chickens. They are a variety of breeds; Bluebells, Black Rocks, Blacktails, and Light Sussex, and they’re all approximately two-years-old so have lots of laying left in them. The birds will be given a clean bill of health prior to being re-homed and we’re happy to give expert advice about how to look after your new beaked buddies. As these birds are used to a free-range lifestyle, they’ll need a garden or open space to roam, and a secure place to keep them safe from Mr Fox overnight. If you think you’d like to start living the ‘good life’, please get in touch with Sue or James through the Contact us page or call us on 0117 958 6206.